The collection of pink things is off to USA to a Postcrosser who likes art and bright things. Wollaton Hall is going to Czech Republic to a new Postcrosser who likes architecture and local places. It’s a great picture of a lovely place. 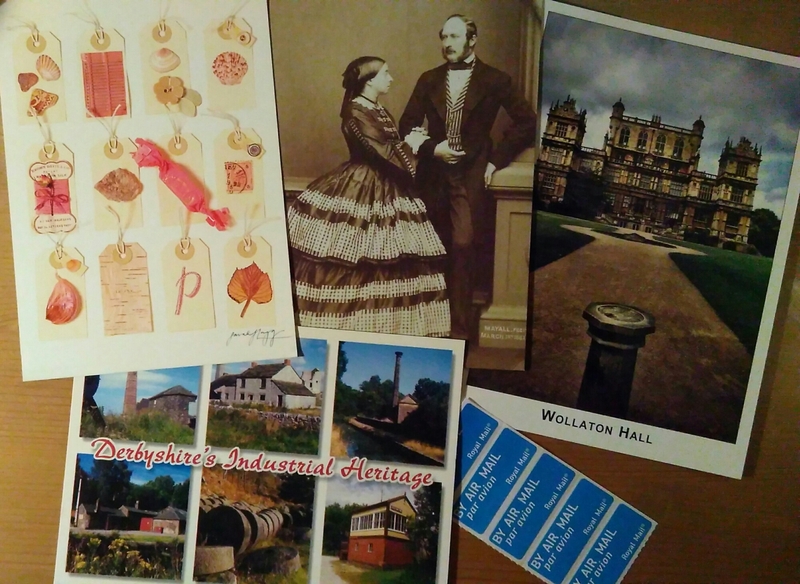 And finally Derbyshire heritage is heading to Germany to someone who likes local views and multi-views. This entry was tagged Postcards, Postcrossing, snail mail, Will, Wollaton Hall. Bookmark the permalink. I like the Queen Victoria one best!